Geoff has been involved with Quality since 1969, starting as an Aircraft Maintenance Quality Technician in the USMC. He has worked in numerous industries, including automotive, aerospace, pharmaceutical, general manufacturing and defense. Geoff is currently working for RCT Systems supporting the intelligence community. 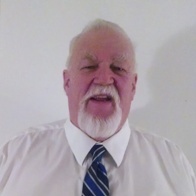 He has held several leadership position in ASQ, including being a Past Chair of Baltimore section. He became a CQE in June 1989. Geoff is also a CSSBB, CMQ/OE, CQA, CSQE, and CPGP. He is credentialed as a Project Management Professional by the Project Management Institute. Geoff received a BA in Management from University of Phoenix in 1995, and has taken graduate level statistics from Cal State Dominguez Hills. Reservations: Cost for dinner is $25.00 per person. There is no charge to attend for the presentation only. To register with or without dinner please use our on line reservation form which can be used up to the Tuesday before the meeting. After then, or if your plans change, please contact dba19@asq0511.org, and let us know.